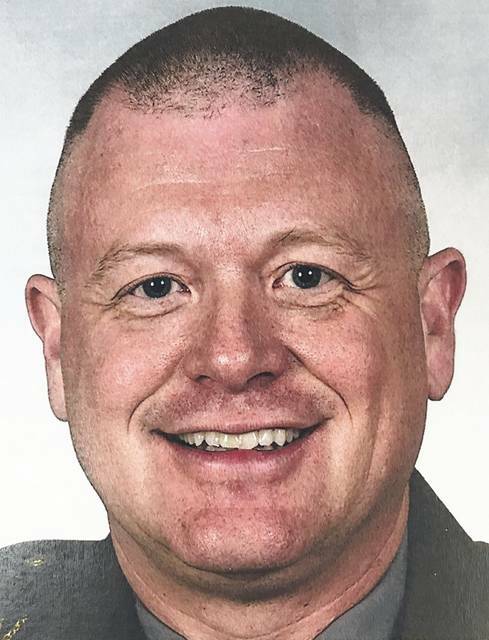 A former trooper from the Delaware Post of the Ohio State Highway Patrol was found guilty of three counts of theft after a one-day bench trial in Delaware County Common Pleas Court. William P. Elschlager, 48, of Marietta, Ohio, stood trial Tuesday before Delaware County Common Pleas Judge Everett Krueger and faced one count of tampering with evidence and three counts of theft, all third-degree felonies. Prosecutors said that police executed a search warrant at Elschlager’s Marietta home to find evidence in a Washington County criminal case and during the search they located two firearms that had been stolen from evidence while Elschlager was a trooper at the Delaware post of the OSHP. Elschlager was indicted in May 2016 and charged with one count of tampering with records and six counts of theft, all third-degree felonies. Three of the theft charges were dismissed before the trial. On Tuesday, Elschlager waived his right to a jury trial and elected to have the case heard by Krueger in a bench trial. At the conclusion of the trial, Krueger found Elschlager not guilty of the tampering with evidence charge and found him guilty of the three theft charges. After the verdict, Krueger ordered that a pre-sentence investigation to be conducted and scheduled a sentencing hearing for Jan. 19 at 3:30 p.m. He is scheduled to stand trial for those charges on Jan 8.